Neglected Waste: Is BC really serious about a zero waste future? British Colombia has adopted an overall waste management policy seeking to achieve a zero waste future. For this province to even reach its more modest near-term goal of 70%, it needs to establish policies promoting high levels of diversion for all components of the waste stream. Currently, BC lacks this type of policy for a significant sector of its solid waste stream: construction, renovation, and demolition (CR&D) waste. Although intentions and recommendations have been made by various arms of the government, legislation has yet to be written. There are numerous reasons why CR&D waste is an ideal target for more comprehensive policy measures. In BC, 19% of the waste stream is CR&D waste (not including CR&D waste that was self-hauled). 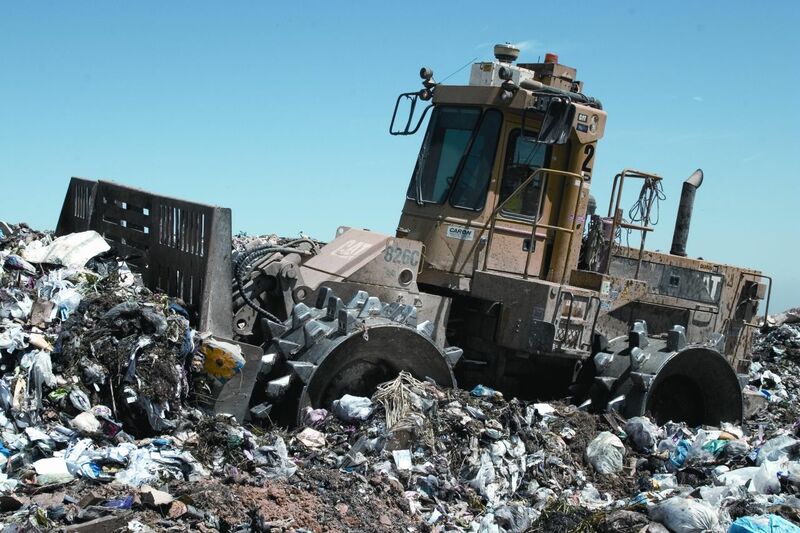 A Solid Waste Flow Summary Report prepared by BC Stats estimates that just 18% of this waste stream was diverted from landfills in 2006 (not including CR&D waste that was reused on-site). Despite this, the vast majority of CR&D waste is readily recyclable. Wood, concrete, drywall, and asphalt make up two-thirds of CR&D waste – private facilities capable of recycling these wastes already exist in BC. An “other” category accounts for most of the remainder, and half of that is most likely corrugated cardboard, a material that actually generates revenue when recycled. Perhaps the most convincing argument to draw attention to this issue is the success of CR&D legislation in other countries. Japan is a world leader for its waste management practices. The Recycling Act of 1991 and the launch of its Recycle-based Society in 2000 laid the foundation on which a complex approach to dealing with CR&D waste would be built. Through this framework, Japan attained a recycling rate of 85% in 2002 with a target of 95% set to be reached this year. The multi-faceted nature of Japan’s CR&D waste management system and the total commitment of the Japanese government were critical to its success, allowing it to effectively address issues at every level of operation. On top of proving that CR&D waste legislation can work, Japan also provides a model system for other jurisdictions to emulate. A report released in June, 2009 by the Recycling Council of BC (RCBC), “On the Road to Zero Waste: Priorities for Local Government”, outlined some general aspects of a management system for CR&D waste that loosely followed Japan’s example. On a fundamental level, however, they are quite different. The Ministry of the Environment and RCBC have both stated their intention to include the management of CR&D in some form of an extended producer responsibility (EPR) program. This would burden the producers of construction products with the cost of end-of-life management. Japan, on the other hand, assigns the extra cost of diverting CR&D waste to the contractor. This is advantageous for two reasons. The underlying goal of EPR is to provide incentive for companies to design for reuse or recycling. However, if the bulk of a product’s environmental impact happens during its use phase, as is the case with most construction products, this should take precedence. Also, the contractor is best positioned in the CR&D supply chain to benefit from the reduction and reuse of CR&D waste and should be encouraged to do so by being responsible for the cost of it. Since the Recycling Council of BC’s outline for a potential CR&D waste management program is so vague, it is difficult to directly compare it to Japan’s. Even in its obscurity, it does seem to cover most of the same points; however, forthcoming details will ultimately reveal the government’s level of commitment to achieving a diversion rate comparable to Japan’s. Kimberely Ejide on Is this time for an Oil Intervention? Tweets that mention Neglected Waste: Is BC really serious about a zero waste future? « CIELAP Community Forum -- Topsy.com on Neglected Waste: Is BC really serious about a zero waste future?